People who file bankruptcy can’t get credit for 10 years. This is completely false. A bankruptcy filing will show up on your credit report for 7 to 10 years, but it will not prevent you from obtaining credit. In fact, you will very likely start receiving credit solicitations in the mail as soon as your case is discharged. The interest rate and other terms will not be as favorable as what is offered to those with perfect credit, but the offers will still make their way to your mailbox. Obtaining credit and making timely monthly payments is the best way to rebuild your credit score after a bankruptcy filing. If I file bankruptcy I will lose some or all of my property. This is not the case for the vast majority of filers. When filing for bankruptcy, you are allowed to protect certain types of property with exemptions. For example, in the state of Missouri, a debtor is allowed to have up to $15,000.00 of equity in their home and $3000.00 of equity in their vehicle. Exemptions protect equity in assets and prevents the Trustee from liquidating the property. 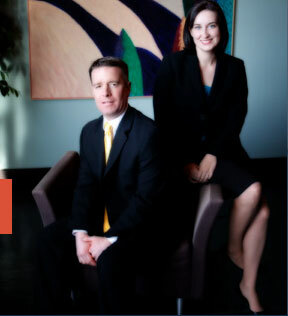 An experienced bankruptcy attorney will be able to advise you regarding this issue prior to your case being filed. However, in a majority of Chapter 7 cases, debtors do not have assets valued in excess of their available exemptions and are able to keep all of their property. My creditors can still harass me, even after filing for bankruptcy. This is incorrect. Bankruptcy law provides for ‘automatic stay’ protection, which means that as soon as the case is filed creditors must cease any attempt to collect their debt. If a creditor does not follow the rules, the debtor may have a cause of action against the creditor for ‘punitive damages,’ whereby a bankruptcy judge could actually punish a creditor with fines and penalties for not following the procedures set out in the bankruptcy code. I will lose my job if my employer finds out I filed for bankruptcy. Filing bankruptcy causes marital problems. One of the biggest causes of divorce is financial stress within the marriage. Filing for bankruptcy eliminates debt and should be a stress reliever. Removing that stress from the equation should strengthen the relationship. It is true that bankruptcy is a matter of public record. However, how many people do you know with access to the bankruptcy court’s online records? In most cases, the only people who will know you filed are your attorney, your Trustee, your creditors, and anyone that you may decide to tell. Filing for bankruptcy makes me a bad person. Not True. There is a reason that over one million people file for bankruptcy each year and it is not because they are bad people. Bad things happen to good people all the time, and instead of being ashamed of filing for bankruptcy relief, you should consider it a smart financial decision. Bankruptcy is a powerful tool that, when used properly, can give you a fresh start in life.